Parliament of Uganda has set a deadline of two days for government to brief Ugandans on the increasing stand-off at the Rwanda’s border, which has paralysed business transactions both in Uganda and Rwanda. It’s close to 6 days when what started as a simple talk of border renovation has now brought attention of the August house. Parliament yesterday 5th March 2019, in the plenary session chaired by Speaker Rebecca Kadaga, tasked government to explain the cause of the closure of the Uganda Rwanda border, which has paralysed business between the two countries. Muhamad Nsereko, Kampala Central Member of Parliament and other MPs, raised the matter of National concern following numerous complaints from over 100 businessmen transacting businesses in Rwanda, asking government to clearly explain the matter. “The message is sent out by our immediate neighbour, that Uganda is unsafe, that there’s torture, that there’s illegitimate arrests it affects our tourism numbers,” MP Nsereko stated. “What’s our government doing as regards to the border stand-off between Rwanda and Uganda? And we need a time line within which that information should be brought to us,” Anna Adeke, chairperson parliamentary youth forum, wants government to urgently address the situation. Gilbert Oulanya said that government might have some confidential information it’s hiding from Ugandans as far as the border stand-off is concerned. Gen Mosses Ali, the First Deputy Prime Minister of Uganda, his effort to cool the already angry MPs went in vain and this prompted Speaker Kadaga to issue a directive of two days to have government explain the stand-off. “We shall come to brief the house, and we shall only come when we are ready,” Gen Mosses Ali stated. A statement which angered legislators the more. 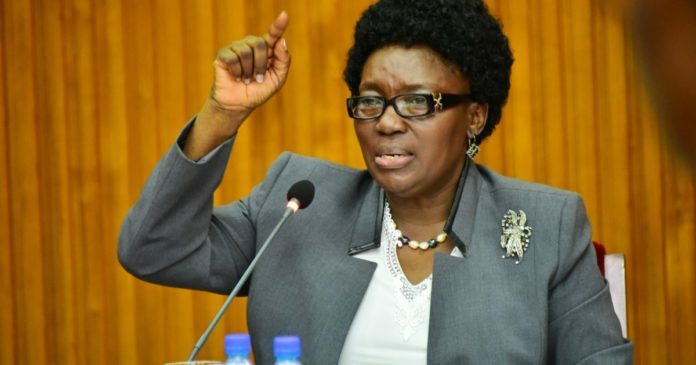 However, Kadaga trashed his statement and commanded him to be ready by Thursday, 10 of March 2019.